Atlantic City officials have announced a youth employment program for the summer. The program needs 60 Atlantic City students, ages 14 to 17 years old, and 100 Atlantic County young adults ages 18 to 24 years old. Those hired will go through job-readiness training before being referred to the job-placement program. Students, age 14-17 can pick up applications from room 502 in City Hall. Students ages, 18-24 can pick up applications in Room 109 on the first floor of Atlantic City’s City Hall. The deadline to apply is Friday, May 26th, but students are encouraged to submit applications by Tuesday, May 23rd. 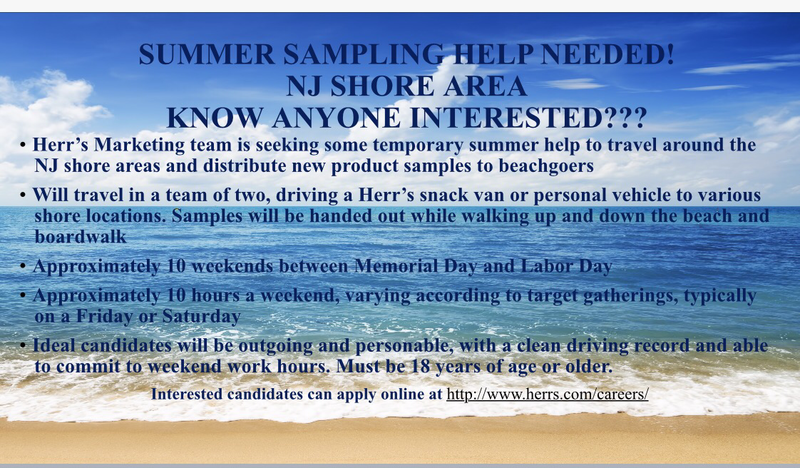 To apply, you must be at least 18! 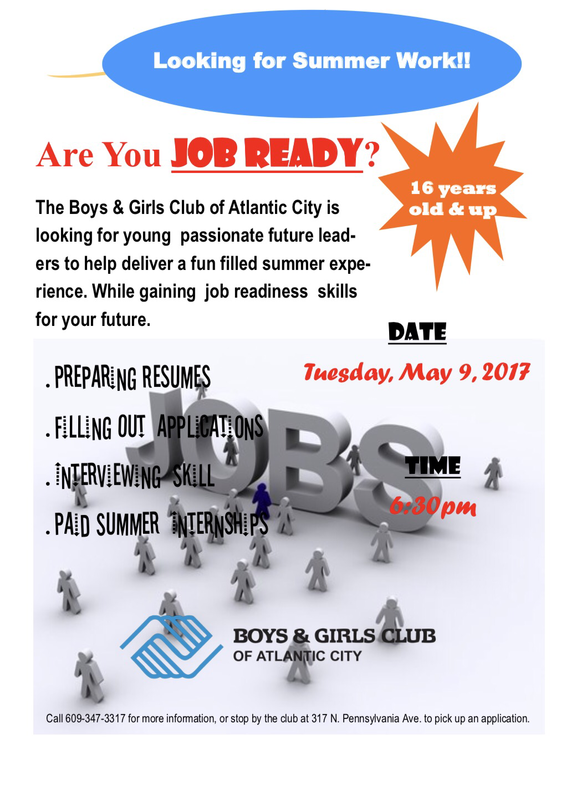 Boys & Girls Club Jobs! !